Cherubs got exclusive tours of four different newsrooms in downtown Chicago. These visits often gave cherubs newfound career goals. 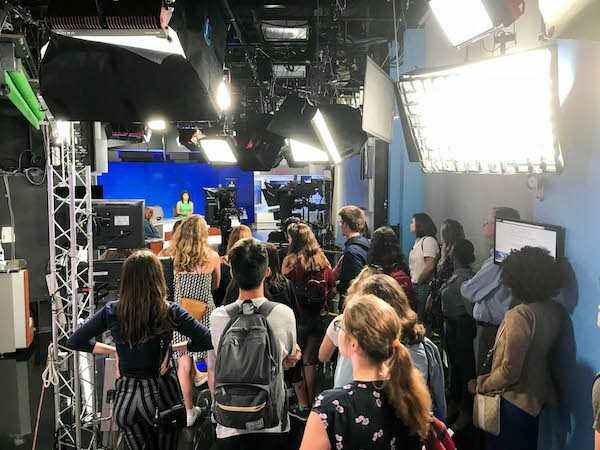 One group of cherubs toured WLS-TV, the ABC affiliate in Chicago, and watched a live broadcast from behind the camera and in the control room. Jason Beeferman of Great Neck, New York said local journalism and the live broadcast “fascinated and intrigued” him. Beeferman said he is considering a career in local broadcast, inspired by his experience at WLS. Jacob Fulton of Galena, Ohio also visited WLS. “Getting a chance to tour the studio and be on set for the news made me think about working in TV versus video production,” Fulton said. Other cherubs visited Chicago Magazine. 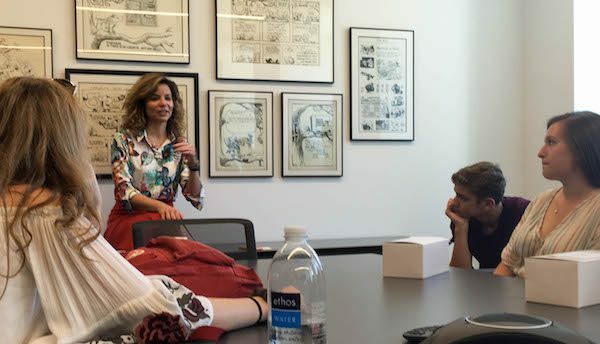 They toured the newsroom and heard from the magazine’s editor-in-chief, Susanna Homan. “Before the tour, I had no interest in magazine writing, but it seemed cool as she talked about her job and I flipped through the magazine,” Abby Stockmal of Hinsdale, Illinois said. 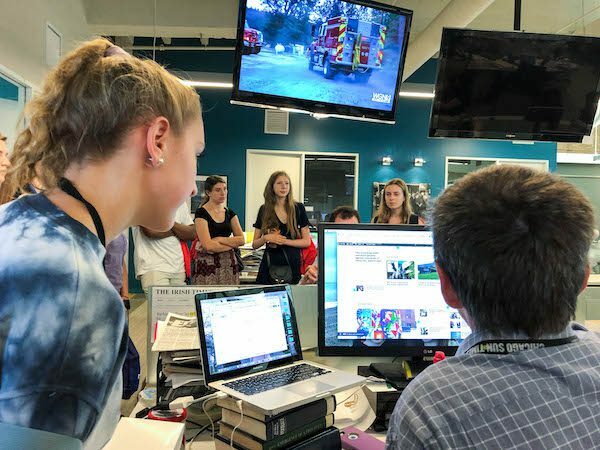 Caitlin Limestahl of Sevierville, Tennessee echoed Stockmal, saying she was intrigued by how magazine writing involves more profiles and features instead of breaking news. 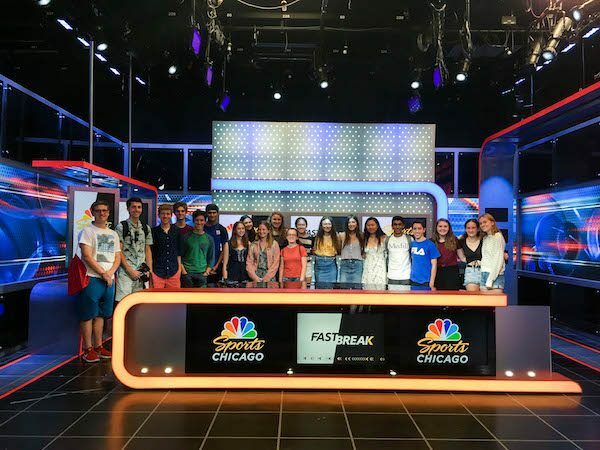 A third group of students headed to NBC Sports Chicago where they toured the studios and newsroom. They also participated in a question-and-answer session with NBC Sports staff members. Drew Schott of Greenwich, Connecticut, said he learned a lot about how sports journalism has changed. Schott is seeking a career in sports journalism and said visiting NBC Sports Chicago guided him in that decision. Cherubs also toured the Chicago Sun-Times newsroom and heard from several editors and reporters about working for a newspaper. Allison Lin of Jericho, New York said a highlight was hearing from obituary writer Maureen O’Donnell, who talked about having to interview a wide variety of interesting sources. The visit to the Sun-Times came almost a year after the publication rebranded after being purchased by an investor group including labor unions, a former TV news anchor and others. Editors also spoke about how the newspaper is adapting to the shift from print to online journalism. “I liked that they had all these devices telling them what was coming in on different networks and to see if their articles are getting hits online,” said Jacob Strier of Scarsdale, New York. He said it’s interesting to see how the paper is adjusting to the current state of journalism.